Well, no mattter. I bought this back in November 2014 when I went to Singapore. Skincare has always been my weakness, so when I saw this trial kit, I purchased it without a second thought. 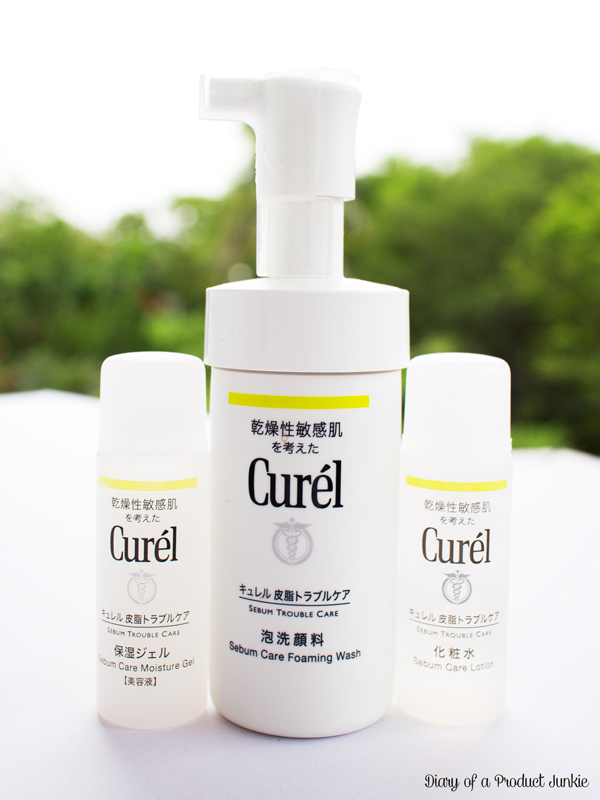 The trial kit had three skincare products, namely a face wash, lotion, and gel moisturizer. It can last for 20 days or so it claims, but I used it on and off, so I didn't really count the days precisely. However, it does last for quite some time because I only used small amounts of each. 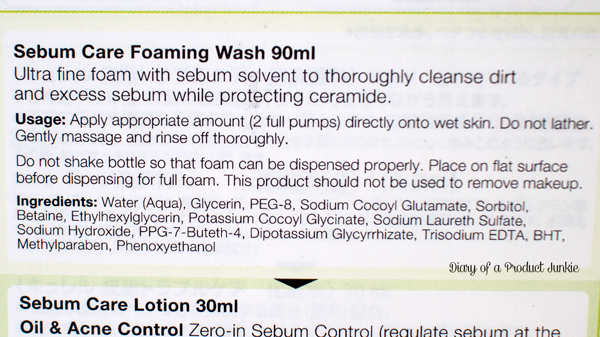 Packaged in a pump plastic bottle, it immediate gives a thick foam without the need of lathering beforehand. Two pumps are usually more than enough for my whole face. It doesn't leave my face tight after rinsing and didn't break me out. This is my favorite product out of the whole kit. I think this is the product that kept my skin clear even during my period. Only one acne appeared near my chin and even that appeared after I ate toast with chocolate sprinkles. At a glance, the ingredients list may look ordinary, but I think Betaine made a huge difference. It is a humectant and anti-irritant that makes skin smooth without being too heavy or greasy. The ingredients used are quite different from the other brands in the market. It uses ingredients that can actually make a difference in terms of skin hydration. This moisturizer is potent for my combination skin. I use a small amount, around two drops, for my whole face. It is enough to moisturize my skin without feeling sticky or greasy. 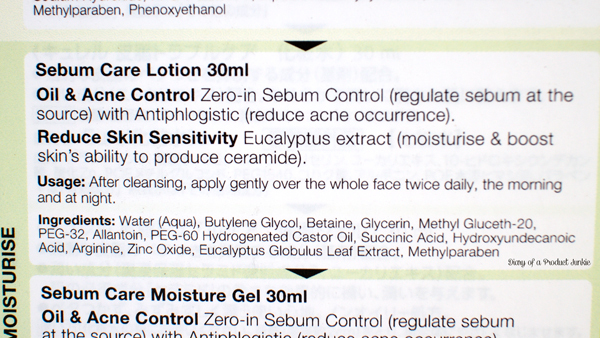 However, it doesn't have oil control, so my T zone is usually oily after an hour or two. Well, it is skincare. Duh. 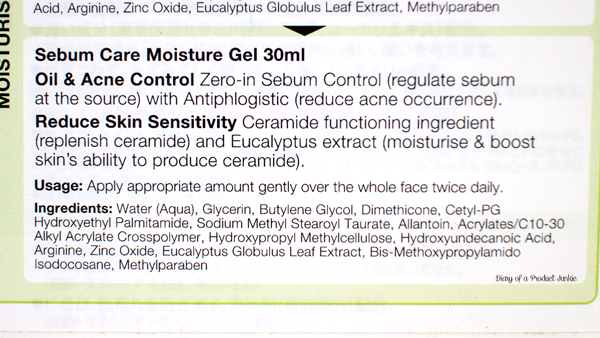 Ingredients inside are almost similar to the lotion, but with the presence of dimethicone to seal in all the moisture. All of the products still use parabens as their preservative, but as you all know, I don't mind. 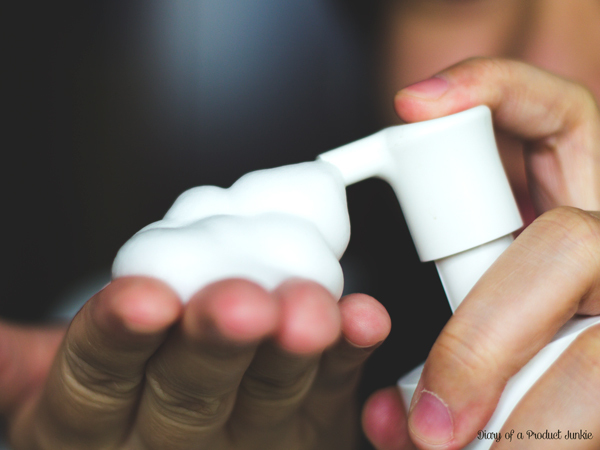 Yes, yes, because of the lack of study regarding parabens and cancer. I adore their lotion and would love to purchase one when mine runs out.